Encoder cable, 36 in. long, with single pin connectors - AndyMark Inc. This is the cable used for our US Digital E4T Encoder and RedLine Encoder Kit. 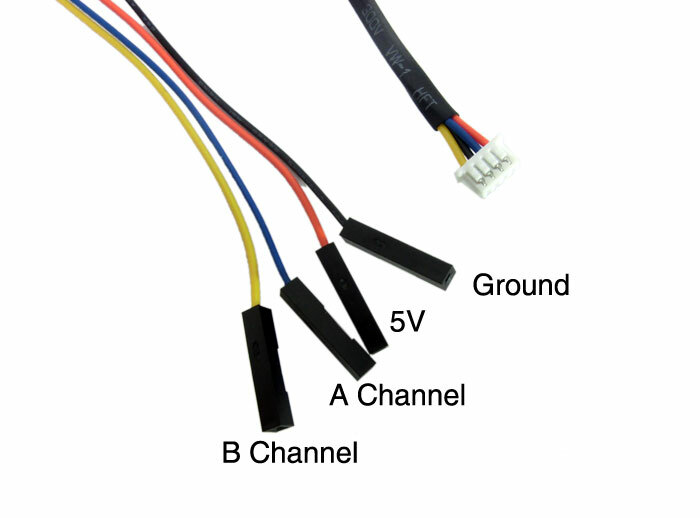 It comes with pre-fabricated individual AVL connectors, making there no need to crimp your own ends. High quality wire and connectors. Now, if Andymark only had a better encoder to go with it. The US Digital kit encoders have proven to be unreliable in this application. The disks are fragile and prone to scratch. Students, in particular, seem to have a hard time with these. This is by far the easiest way to establish a robust connection to a US Digital encoder, a must-have for going mecanum!